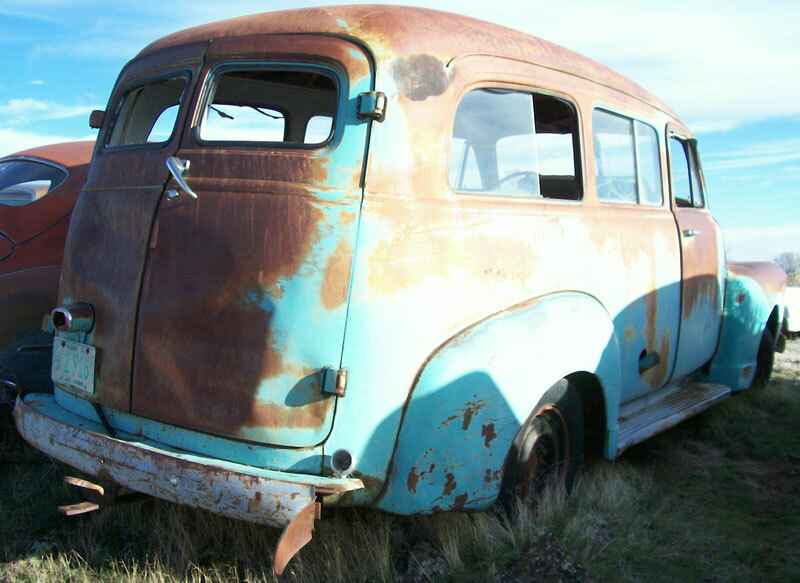 This Ocean green 1953 Chevrolet 2 door Series 3100 Model 3106 Rear Doors 1/2 ton window Suburban is a partially straight, mostly solid high desert project truck ready for restoration or customization. 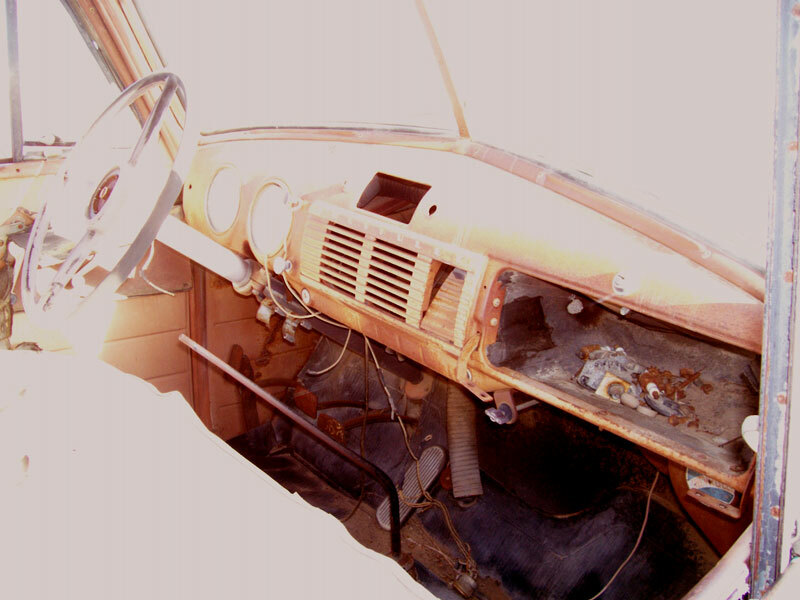 The body and frame appear solid, except the left rocker and running board are rusted. This is likely due to the truck sitting down on it's left side for many years. There is some cracking and rust in the right rear corner behind the bumper end. The usual rusted areas at the lower cowls and front fender tails are not showing but you cannot tell if these areas have rust until the truck is taken apart. The running boards and fenders are dented. There are some dents in the right rear corner of the body above the fender. The grill is dented but is likely repairable. The headlight trim and some hood trim are missing. The rear doors are dented but may be repairable. Most of the glass is broken or missing. The right rear bumper is bent. There are trailer hitches. The truck has an optional aftermarket front bumper guard and the top bar is broken. The interior is mostly all there, except the radio, horn button, shifter knob and glove box door are missing. The front seat appears to be stock. The front floors have pads and have not been inspected. This was a delivery model and there are no rear seats. 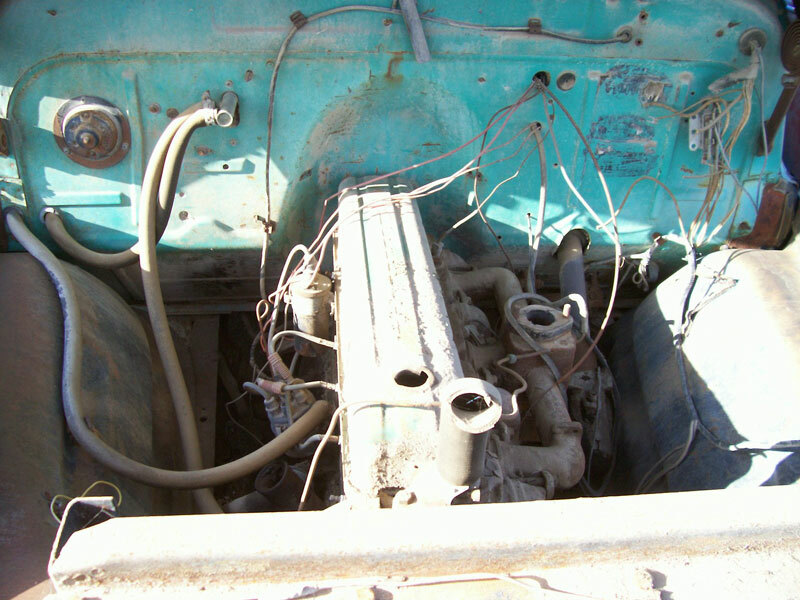 The 216 CID inline six cylinder 85 HP OHV motor and 4 speed floor shift manual transmission are all there, except the starter, carburetor, air cleaner and radiator are missing. 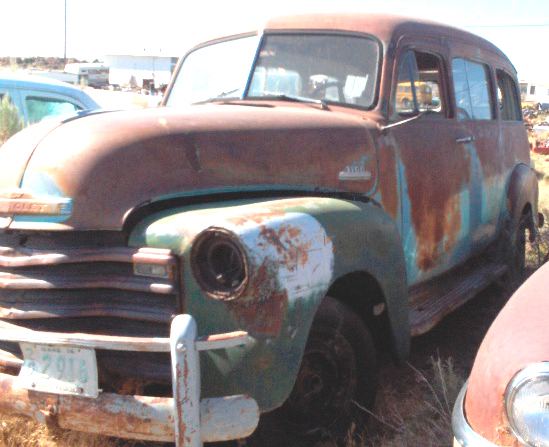 Do not miss this chance to restore or customize a desirable and hard-to-find 53 Chevy Suburban. Please call (406) 318-0270 for details about this 53 Chevy Suburban.